Games: the final frontier. These are the articles of the starship F2P.com. Its continuing mission: to explore strange new MMOs, to seek out new story-arcs and new features, to boldly go where no man has gone before. Star Trek Online embodies the TV and Movie series where players can be the captain of their own ship, read on to find out what we love and dislike about it! 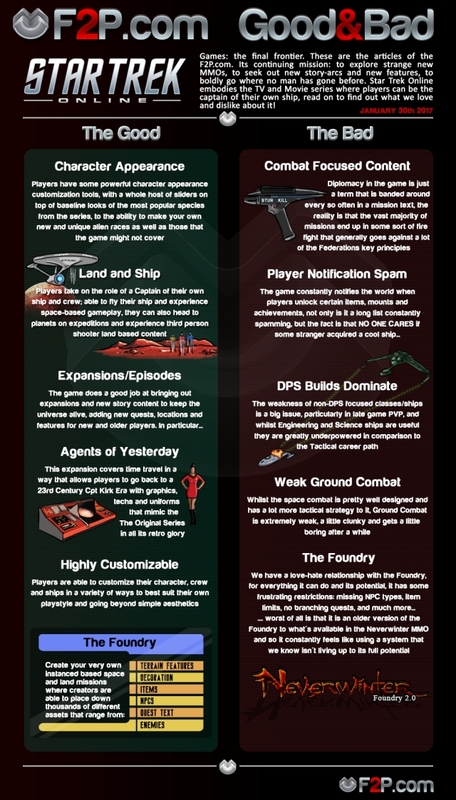 So that's what we think is Good & Bad about Star Trek Online, let us know what you think about the article or the game in the comments below.